Leeches are segmented worms that feed on blood from vertebrate and invertebrate animals. The majority of leeches live in freshwater environments, while some species can be found in terrestria and marine environments as well. Almost 700 species of leeches are currently recognized, of which some 100 are marine, 90 terrestrial and the remaining freshwater taxa. To feed on their hosts, leeches use their anterior suckers to connect to hosts for feeding. Certain species of leeches feed on blood, not all species can bite. 90% of them feed solely on decomposing bodies and open wounds of amphibians, reptiles, waterfowl, fish and mammals. 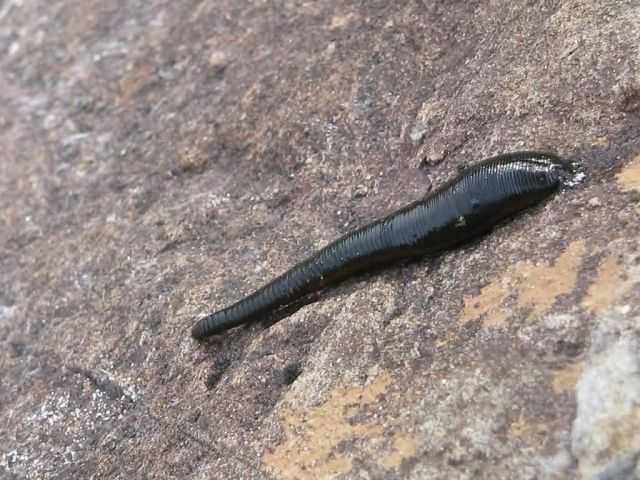 A leech attaches itself when it bites and it will stay attached until it becomes full, at which point it falls off to digest. They also have two suckers, one at each end. But, Leeches have been historically used in medicine to remove blood from patients.